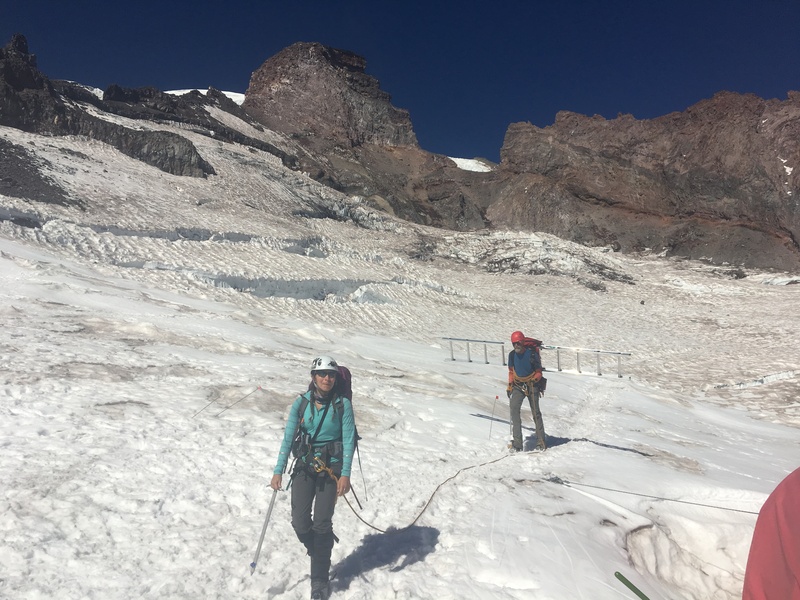 Summit success for the three day Muir team! We had near perfect weather and conditions this morning. We are now looking forward to libations and burgers. David Gottlieb cruising into high camp with a ladder.